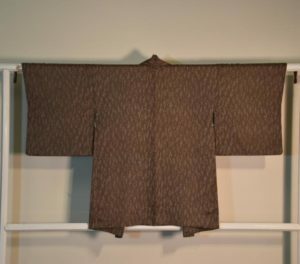 This is a finely woven black silk Haori. The brocade picture is the lining. SKU: 13359. Categories: Haori, New Arrivals, Textiles.